So, Spelunky right? The roguelike platformer by Derek Yu was first released back in 2008, but the enhanced 2012 version for XBLA is the one that really put the game on the map. While everyone was all PlayStation 4 this and Sony that, two DLC packs were quietly released for Spelunky. The Explorers pack adds eight new playable characters, including an eskimo, robot, viking, cyclops, and ninja. The Arenas pack introduces 24 new deathmatch maps, which we don't need to remind you how awesome that is for multiplayer. 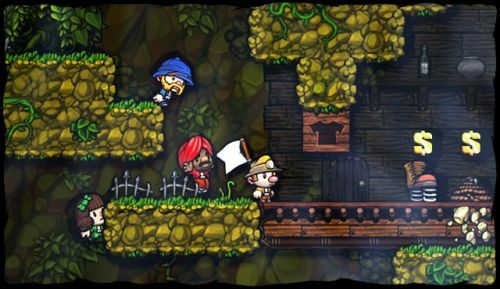 Those new to the world of Spelunky should note that co-op is limited to local play, though don't let that sour your disposition towards this deliciously nostalgic loot-fest of a game. And when you realize you're awful at Spelunky, check out a few tips so you can save the sailor's mouth for Dark Souls.